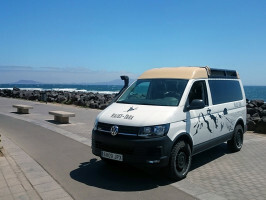 Our vehicles "All Terrain" 4x4 wheel drive, allow us to visit places on the island of Lanzarote that access would be impossible without them. We use dirt tracks and narrow country roads, hidden and unknown in the north of the island, completely away from the traditional tourist routes. It will be highlights of an excursion where animation and the information will be combined with the adventurous environment of the safari. 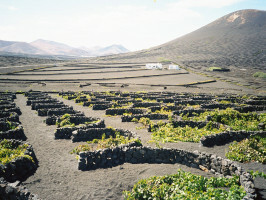 After the pick-ups in different tourist areas and meeting with all participants at Macher, we begin our journey through the central and southern part of Lanzarote crossing the village of La Asomada towards to La Geria where we will admire the landscape created by the hand of the man and the fire of the volcano. 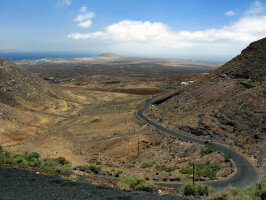 Then we will go to the Visitor Center and Interpretation of Timanfaya, where we can inform us about the whole volcanology. 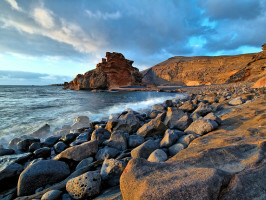 We will continue towards the south of the island passing by the village of Yaiza towards the Lava Coast to contemplate the Gulf area, the Hervideros and a fantastic panoramic view of the Salinas de Janubio. 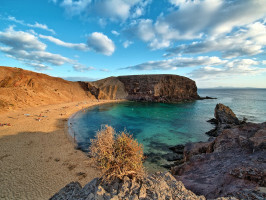 And finally we will head towards the Papagayo Beaches in the Ajaches Natural Monument. If there is good weather we can even swim at the beach. Return to tourist areas and the end of our services. French, German, English, Italian, Dutch and Spanish. 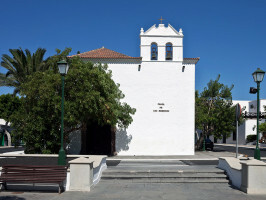 Pick-up from Costa Teguise at 8:30am, Arrecife at 8:40am, Puerto del Carmen at 8:50am, Puerto Calero at 9:10am and Playa Blanca at 9:20am. The supplier reserves the right to upgrade, alter or terminate any or all of our tours due to security, weather, Acts of God or for any other reason we deem necessary. Child seats are available at an additional cost. Alcoholic beverages are not permitted for security reasons. Drop-off location: At the same place of the pickup. Recommended: sports shoes, warm clothes, photo camera in winter, wear warm clothes. Extra comments: The Company reserves the rerouting for possible causes of force majeure. For security reasons, they are not permitted alcoholics beverages. Child seat direct payment.